PGAdesign, as part of a renovation project with KTVU, has produced its 20th sign for the Oakland Bay Trail. 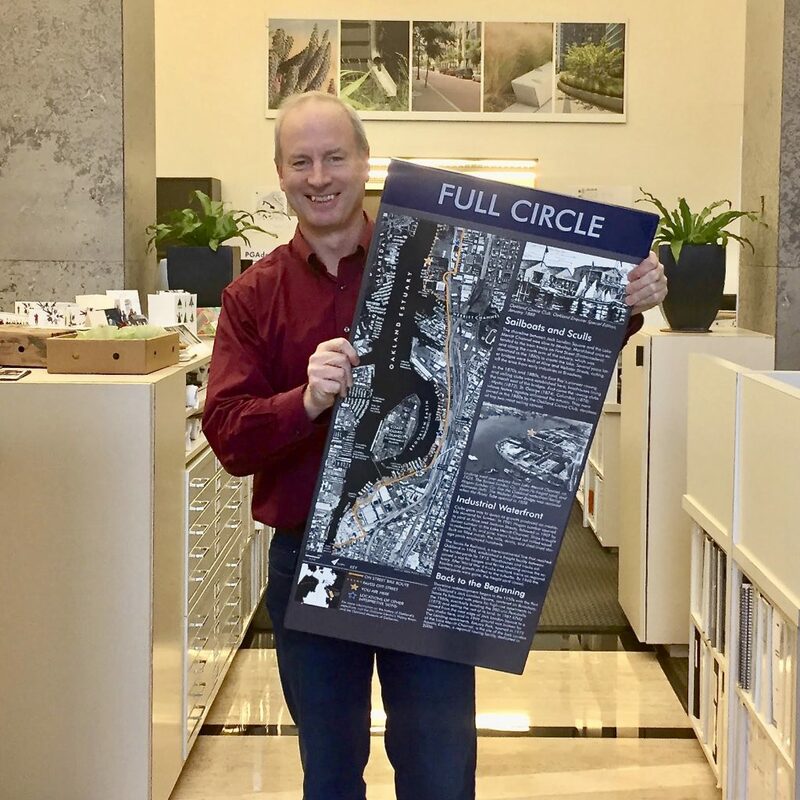 The sign, entitled Full Circle, explains how the vicinity has gone from being a pleasure craft area to an industrial waterfront and has now returned—full circle—to a pleasure craft and recreation area. PGAdesign Principal Chris Kent, who completed the sign’s graphic design and signpost, has also come full circle, highlighting his former career as a graphic designer who focused on signage design.